My athai’s curry powder(click here for recipe) suits best for all veg and non-veg dishes. I have tried this recipe using store-bought powders too, whenever there is a delay in courier from India. 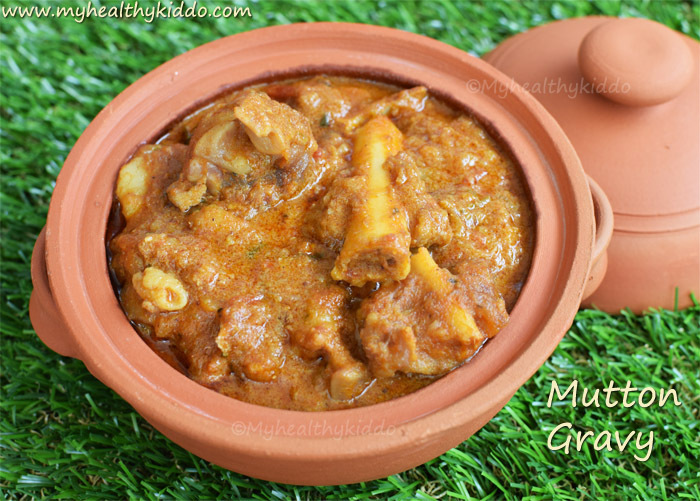 So, do try this mutton gravy and I am sure you will love it. Preparation – How to make easy and tasty Mutton gravy ? 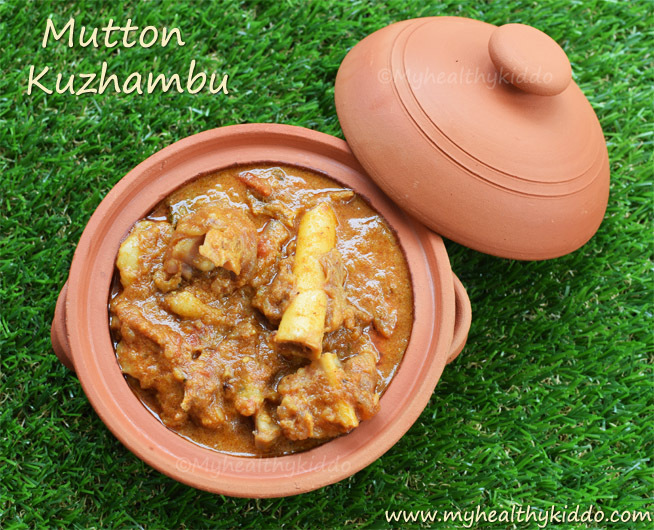 I use groundnut oil or sesame oil for this mutton gravy recipe. 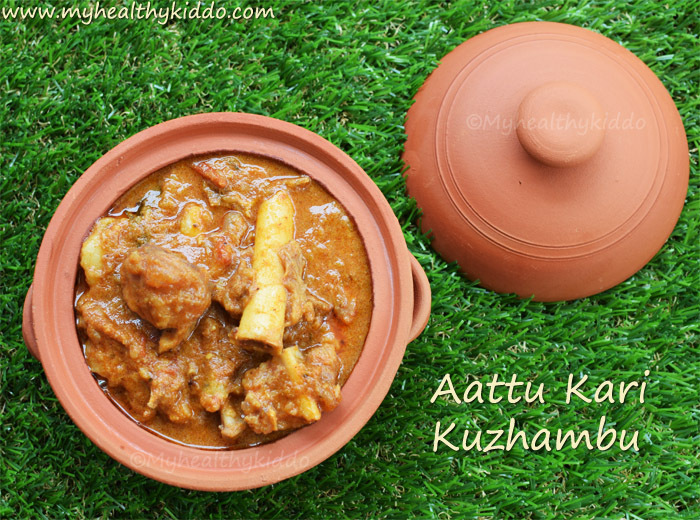 Try to get fatty meat(kozhupu kari) for more tasty mutton curry. You shall use any curry powder that you use for non-veg recipes. Or just add 1/2 tbsp dhaniya powder + 1.5 tbsp plain chilli powder+ 1/4 tsp Jeera powder+ 1/4 tsp pepper powder . Increase chilli powder as per your spice need. « How to cook Kerala Matta Rice ? Cooking Kerala Matta Rice in Pressure Cooker – Mattai Arisi samaipadhu eppadi ?